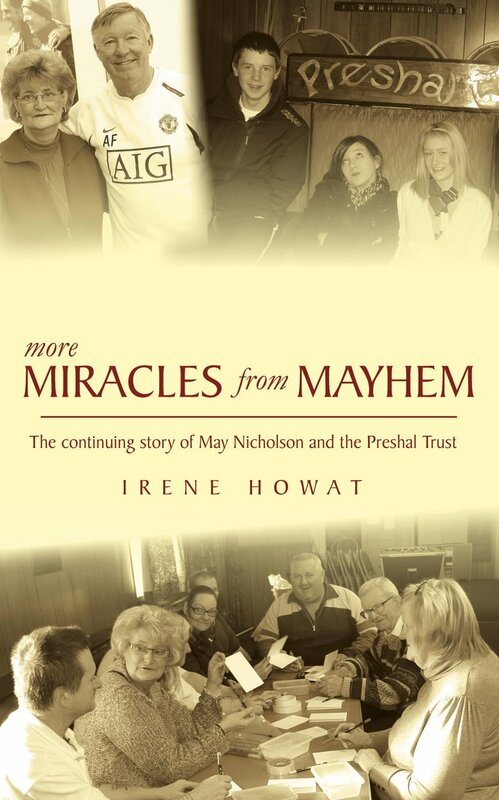 In Miracles from Mayhem May Nicholson told the story of how she went from being a drunk no-hoper to establishing Preshal, a Christian trust based in one of the most needy areas of Glasgow. Preshal comes from the Gaelic word for precious, and Preshal aims to show those who come in that they are precious, whatever their circumstances, whatever their needs, whatever their addictions, whatever the state of their mental health. Opening More Miracles from Mayhem opens the door to Preshal and allows the reader to meet those who come through the door, both locals seeking friendship and support as well as members of the staff, several of whom have come up through the ranks. Those who tell their stories in More Miracles from Mayhem come from all sorts of backgrounds, from loving and Christian homes through to abusive and manipulative backgrounds to having no home at all, rather spending over 30 years in the care system. The book will move readers to tears, to laughter and to prayer. This book will give you new hope as you read of those who have come through terrible times and have found faith and hope. More Miracles From Mayhem by Irene Howat was published by Christian Focus Publications in March 2009 and is our 27327th best seller. The ISBN for More Miracles From Mayhem is 9781845504496. Irene Howat has met many of the people involved in the work and activities taking place, and has listened to what they have to say and helped them write their stories in their own words. These give a real feeling of what Preshal is all about. Those who come for help becoming helpers and some in time becoming Board members. Everyone is made welcome. It is known to be a place of Christian love, not judgement, but many of those who come find a life giving faith as some of these stories tell. Preshal was started in 2002 and has already reached out to many other communities, offering help, encouragement and prayer. May and the Board now have a vision for purpose built premises where they can do even more. Got a question? No problem! Just click here to ask us about More Miracles From Mayhem.